To cultivate the habit of promoting the common good through an integrative environment for learning. To promote the value of politics; our shared identity as citizens; our engagement in public work. The Eugene J. McCarthy Center for Public Policy and Civic Engagement was founded in 2006 as a learning community and resource hub for students, faculty, staff, and alums interested in engaging issues and practices of public policy. The McCarthy Center facilitates opportunities for collaborative scholarship, creative and integrated learning through programming and activities on and off campus and in collaboration with various other departments and organizations. The McCarthy Center also offers resources for internships, networking, and career mentoring experiences in the areas of public policy and public affairs. The staff and student participants of the McCarthy Center work to create venues for constructive, responsible and interesting civic debate and engagement in community affairs. 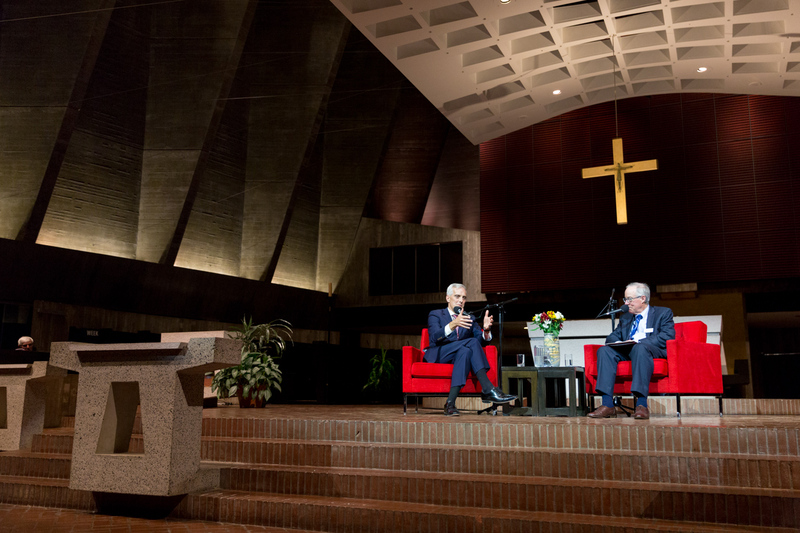 On Monday, October 15, 2018, the Eugene J. McCarthy Center for Public Policy and Civic Engagement presented The 12th Annual Eugene J. McCarthy Lecture with Former White House Chief of Staff Denis McDonough '92 interviewed by CSB/SJU Professor of History Dr. Ken Jones in the Abbey Church. Photo Credit: Ali Jungles '19. 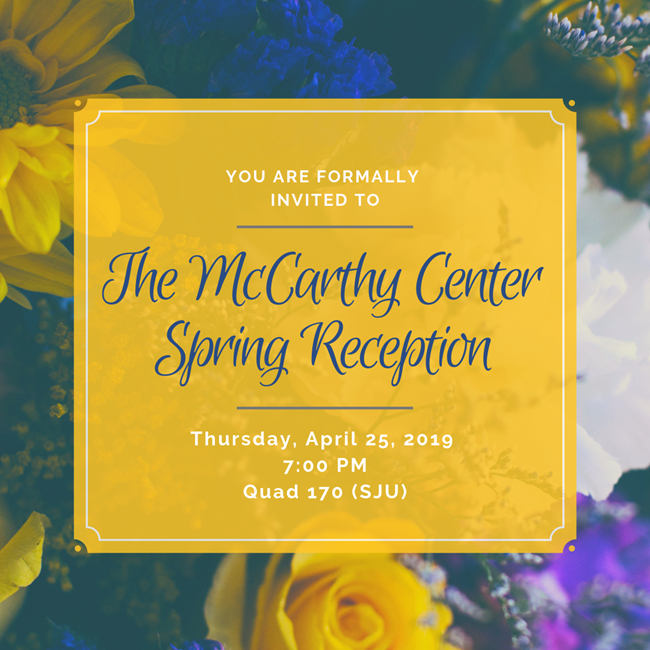 The Eugene J. McCarthy Center's annual Spring Reception will be held on Thursday, April 25, 2019, to celebrate the end of another fantastic academic year for our students and supporters. The McCarthy Center, and our partners in the Experience & Professional Development Office (XPD), aim to honor the recipients of the CSB/SJU 2019 Summer Leadership Fellows Scholarship, which includes the Marie and Robert Jackson Fellows, the John Brandl Scholarship and the Center for Ethical Leadership in Action (CELA) Fellows. Please join us as we recognize the constant involvement of about 80-90 students over the academic year, including the Summer Leadership Fellows, the McCarthy Mentor Program Mentees, Student Coordinators and Volunteers, and as we thank friends of the McCarthy Center for a successful 2019.